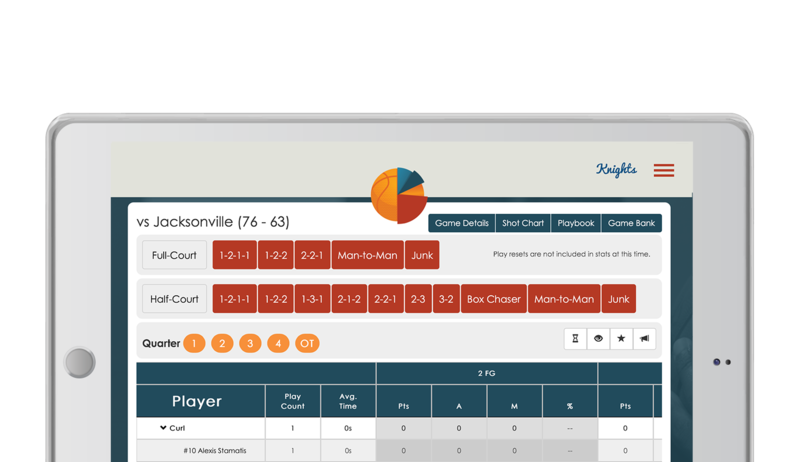 Meet Play Vision™, the analytical, real-time app that improves your team’s offense. Use the Play Vision™ app to record every offensive possession as it happens. Learn what works. Play more efficiently. Win more games. Division I teams using Play Vision™ won 23% more of their games this year compared to when they were NOT using Play Vision™ last year. Generate comprehensive reports with a tap of a button whenever, wherever. From the locker room at halftime or on a flight back home, reports are ready in minutes. No need for internet. No waiting on game film! 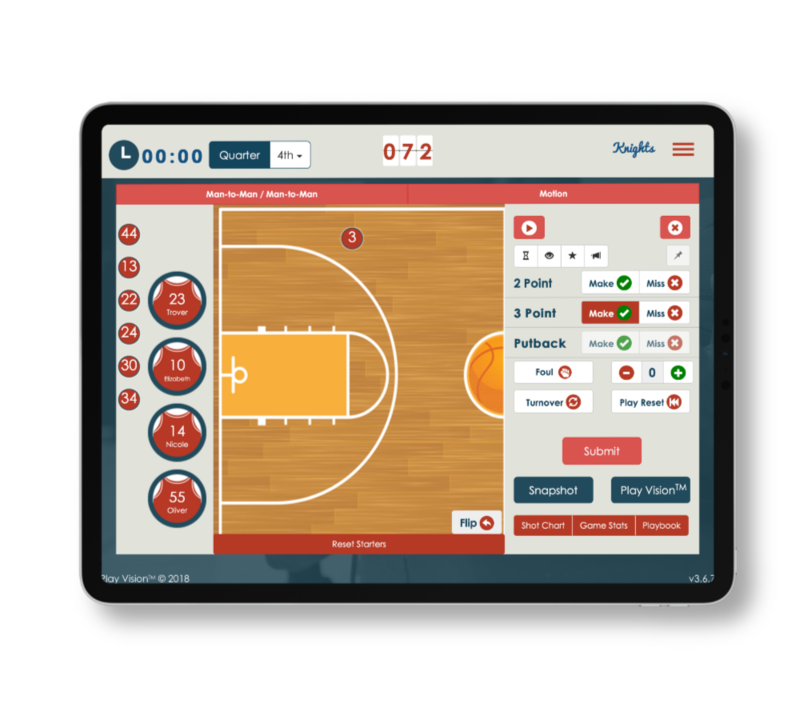 Play Vision™ allows teams to track their offense live. Know what plays have been called and analyze them on the spot. 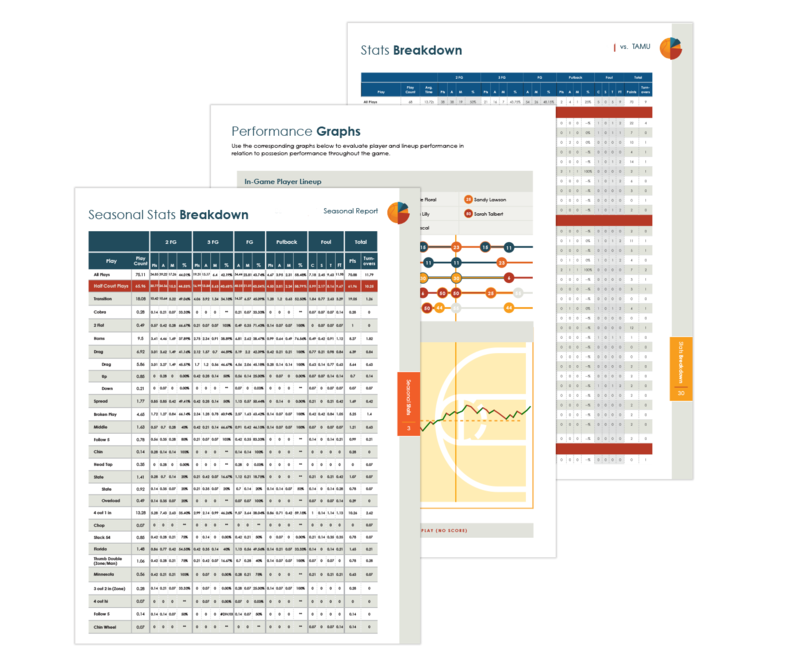 Quickly view simple stats to get a pulse of the current game, or dive deep into the data to learn what works best. Filter shot charts based on specific plays, players or games for a bird’s eye view of the court. Rest assured that data is safe and secure on our servers. Free backups mean valuable information never gets lost. 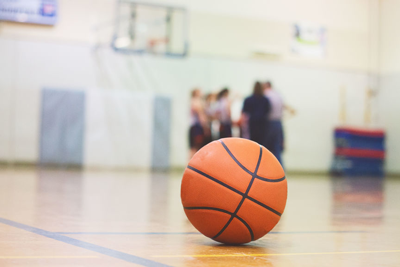 Generate detailed reports with the tap of a button to easily breakdown practices, scrimmages, or games. Play Vision™ can even combine multiple games to create reports. We’re new on the scene so we priced our services with your budget in mind. Check out our packages to find the best fit for your team. Each team gets a dedicated “Play Rep” to help with support. Email, call, or text questions, ask for training tips, provide suggestions to improve your experience, or tell us about your last victory. We’re here to help you win. Based on our pilot program, Division I teams using Play Vision™ won 23% more of their games this year compared to when they were NOT using Play Vision™ last year. Get Play Vision™. Get the Edge! Ready to improve your offense? Copyright 2019. Play Vision Sports Analytics LLC.